Many older adults with Alzheimer’s or dementia enjoy and want to be included in holiday festivities. But this time of year can also be overwhelming. The added activities and stress could cause increased agitation and confusion, unpredictable behavior, or mood swings. We’ve chosen 5 top articles with tips that help you modify holiday traditions and set expectations so people with dementia can have a fun and enjoyable season too. Find out how to make holiday activities dementia-friendly, help family members know what to say and do, keep seniors feeling calm and secure, and more. Holidays bring a flurry of activity – changes in daily routine, conversations with extended family, and participation in annual traditions. 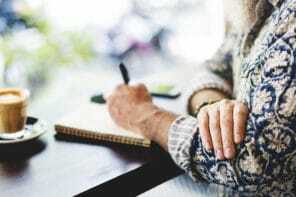 For seniors with dementia, the stress can trigger challenging behavior. 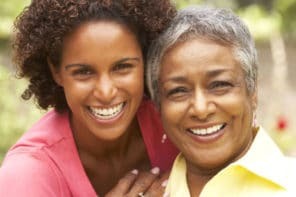 Get tips on reducing stress, modifying family traditions, and helping older adults feel included. We also explain why decorations need to be chosen with care. Even though your older adult has dementia, you still want them to feel included in the holiday festivities. But you don’t want them to get overstimulated or agitated. Whether you’re hosting the get-together or taking your older adult to a relative’s house, these 6 tips will help you modify holiday activities so they can participate comfortably. Find out how changes like keeping groups small, paying attention to timing, and focusing on meaningful traditions can make a big difference. Because Alzheimer’s and dementia are progressive conditions, people get worse over time. To avoid shocking family or friends during holiday visits, it’s a good idea to update them on your older adult’s current condition before they come over. Being surprised could make family members irrationally angry, ignore your older adult, or insist on making unwise changes to their life. One way to give people time to absorb the info ahead of time is by sending an email – we’ve even got a sample letter you can use. Seniors with dementia may enjoy holiday visitors as long as the visit isn’t overwhelming. Make these visits successful and positive by helping family and friends know what to say and do. When people are prepared with useful information and the right expectations, you’ll all come out of the visit with good feelings and nice memories. Simply being included in the festivities brings joy and helps seniors with dementia enjoy the season. Many of these 20 fun holiday activities are dementia-friendly – choose the ones you think they can handle. To prevent older adults from becoming overtired or overstimulated, it’s important to pace activities and take frequent breaks.